Pita Pit just sounds healthy to me. For some reason I associate Pitas with a health food choice. And to be honest, Pita Pit has some fantastic options. Breakfast wouldn’t exactly be the best here, and there are much better options out there. 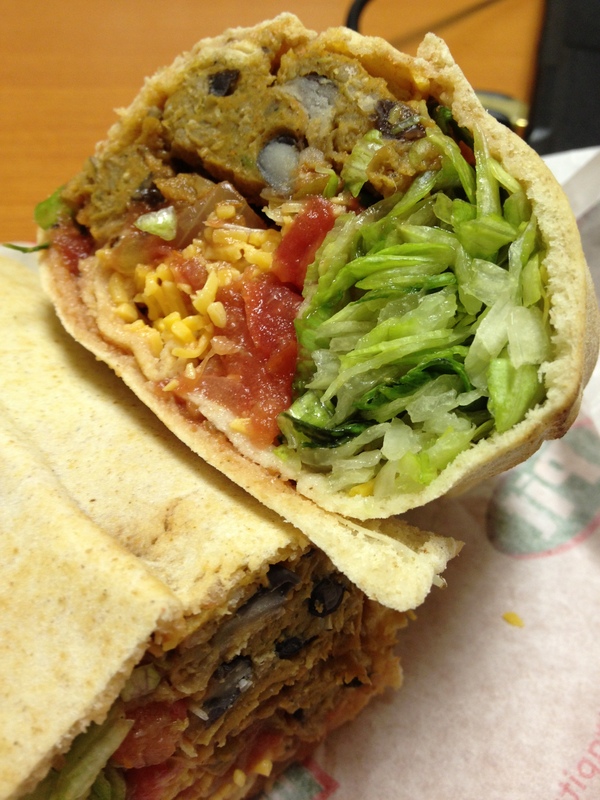 But overall, Pita Pit is a great place for lunch or even a mid afternoon snack. Sauces: As with every fast food place, you always want to be aware of what sauces you are putting on your sandwiches. There are so many hidden calories in those sauces it will blow your mind. You will take something delicious and healthy, and turn it into a necessary trip to the gym. And no one likes being in the “I NEED TO GO TO THE GYM TODAY” place. The Secret (spicey vinagrette) willl get you here. Vinagrette is the known word for a healthy dressing. Not in this case. Do not be fooled, because if you are you are adding another 200 calories to that pita. Salsas are usually a great choice. They are jam packed with flavor and add a great value to your meal. It is all tomatoes and peppers and onions. FANTASTIC. Caesar dressing is another that will get people. Everyone loves a caesar salad. But crazy enough, this is the worst salad for you (next to a thousand island dressing). The rule still stands true, vinagrettes are better for you than a cream based dressing, but just make informed decisions. Go for the Raspberry Vinagrette insteda of the Balsalmic Vinagrette and save 60 calories. Cheese is another thing that will get people quickly. Most of the time on nutritional information menus, companies will leave out the cheese from the sandwich information. We all know that we are going to get a slice or two on that sandwich. Thats just another hidden extra that you need to be aware of. Don’t let me sound like a debbie downer, PITA PIT is a GO. They have great options and it is definitely not difficult to stick to a healthy, balanced lunch. Just remember that you want to balance out that plate with high amounts of proteins and veggies and not so much carb. No one wants to get tired after they eat!